What if a roadside threat to a fellow crewster emerged in the 59th frame of a second, and you didn’t spot it? That’s the possibility The Crew beta players lived in fear of, and so in many cases cranked up their frame-rate to an unsupported 60fps. Ubisoft are reluctant to promise 60 frames-per-second for The Crew on release day, but they won’t impound your sweet ride for chasing those speeds yourself. 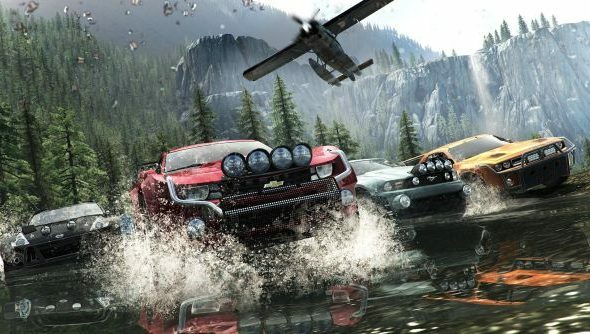 The Crew launched in beta with an artificial 30fps lock – but players soon discovered they could boost it to 60fps by fiddling with .ini files. At the time, Ubisoft voiced concerns that the higher rate wouldn’t be “optimal” for all players within the game’s (currently unannounced) recommended system requirements. Now, however, the game’s developers at Ivory Tower seem to have decided on a moderate course that won’t step on the multiple GPUs of players who want to push for 60fps. “Ultimately the performance and the frame-rate will be down to the player’s hardware,” lead designer Serkan Hassan told TechRadar. It’s an approach comparable to Bethesda’s – who don’t officially support playing The Evil Within at 60fps, but are busy ironing out its quirks anyway. Should developers do better than that? The Crew is out on December 2.